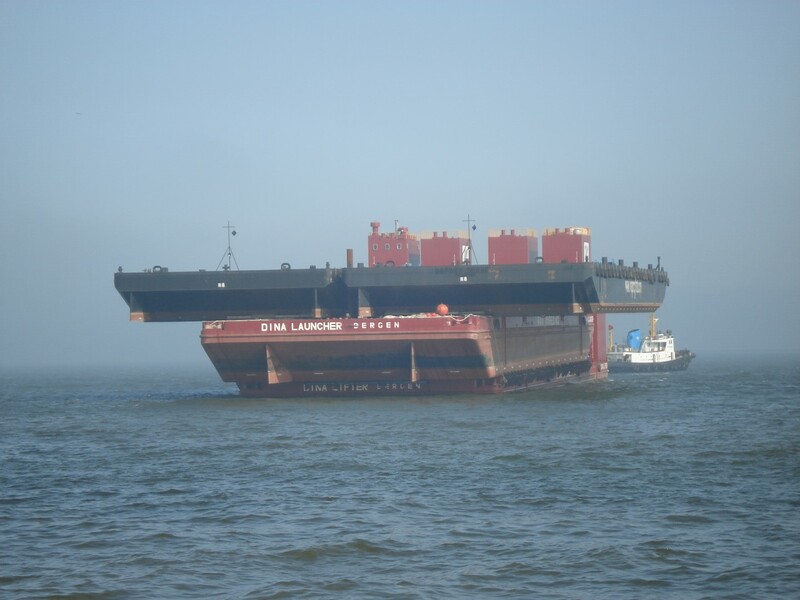 Loading and securing 3 barges for transport on barge Dina Lifter. Marine Heavy Lift Partners designed the seafastening and grillages and executed calculations for submerging operation. Marine Heavy Lift Partners did also the supervision during the loading and securing operation. Responsibility Design of seafastening, submerging operation, supervision loading and securing.